On an average year, Toyota sells roughly ten million automobiles worldwide culminating in a gross sales digit registering in the hundreds of billions of dollars. It is a mind bending exercise to fathom the scale of the global Toyota empire, and equally difficult to comprehend how and when it all began. Just as the flashpoint for Land Rover wasn’t a truck, but a bicycle, Toyota owes its success to an unrelated industry and the advent of the automated textile loom. 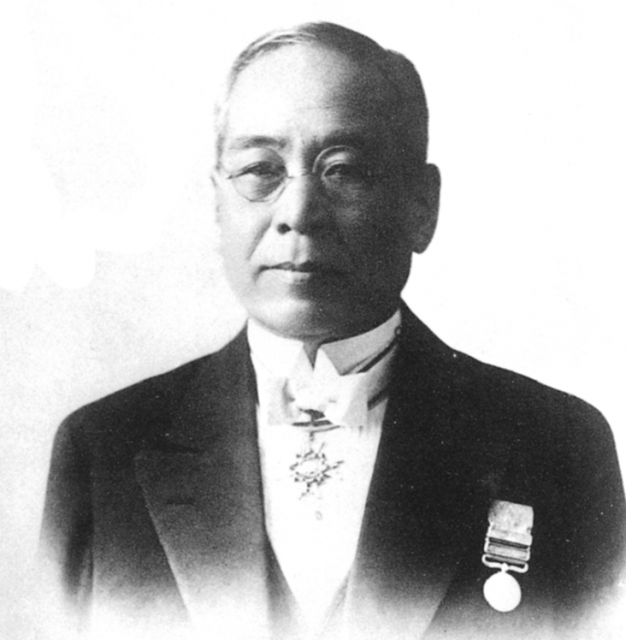 Born in 1867, Sakichi Toyoda always knew he would play a pivotal roll in the modernization of Japan, but it took him a while to find his path. When he saw an opportunity to improve on the manufacture of textiles it would become his sole raison d’être. In 1926 he formed the Toyoda Automatic Loom Works which evolved into the massive entity known today as Toyota Industries. For his work, he was heralded as the father of the Japanese Industrial Revolution. It’s an oft overlooked sidebar in the trajectory of Toyota, but it was Sakichi’s appreciation for manufacturing efficiency that not only made his success possible, but it has defined the brand ever since. Sakichi was steadfast in his pursuit of problem solving, the efficient use of materials, and the speed at which he could produce his products. He carefully scrutinized his competition, replicating their successes and improving where they could not. Those same attributes are evident in today’s Toyota. Shortly after Sakichi’s death in 1930, his son Kiichiro Toyoda identified an opportunity to expand their operations into a new technology and set out to design their own gas engine. Sakichi had long wanted to find a way to replace coal as a primary power source and Kiichiro had a chance to pursue that dream, at least in a small capacity. As his father did, Kiichiro traveled to factories throughout the US and Europe to hone his manufacturing strategy and by 1933 Toyoda was on its way as an automobile company, a move made formal in 1937 with the creation of the independent Toyota Motor Company. 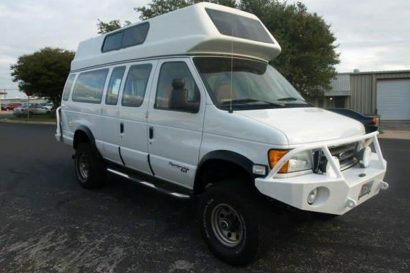 Over the course of the next decade, a number of vehicle platforms would emerge, many of them virtual clones of American-made Dodge and Chevrolet cars and trucks, the parts often made interchangeable. 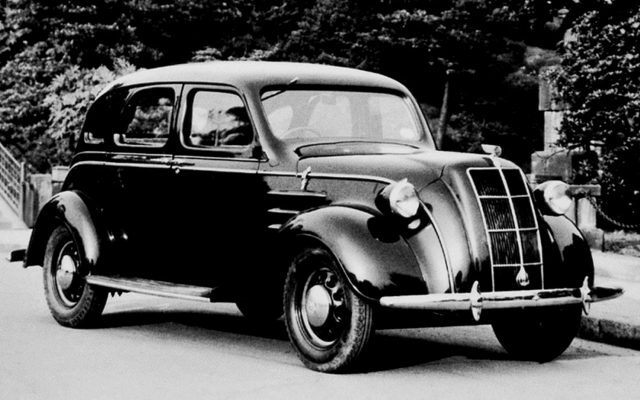 The 1936 Toyota AA was a well made car comparable to anything Detroit produced. As production increased in the late 1930s war loomed and eventually consumed all of the fledgling company’s production capabilities. Dedicated to military truck production, the war years would not only bring Toyota to the brink, but the country as a whole. If war nearly destroyed the brand, it was ironically war that saved it. With the Second World War concluded and Japan under American occupation, tensions on the neighboring Korean Peninsula came to a boil. At the behest of the US Military and the United Nations, the Toyota company was commissioned to produce 5,000 military vehicles, an order that played a pivotal roll in Toyota’s financial survival. Prior to that request, the Toyota facility had produced only 300 cars the previous year. 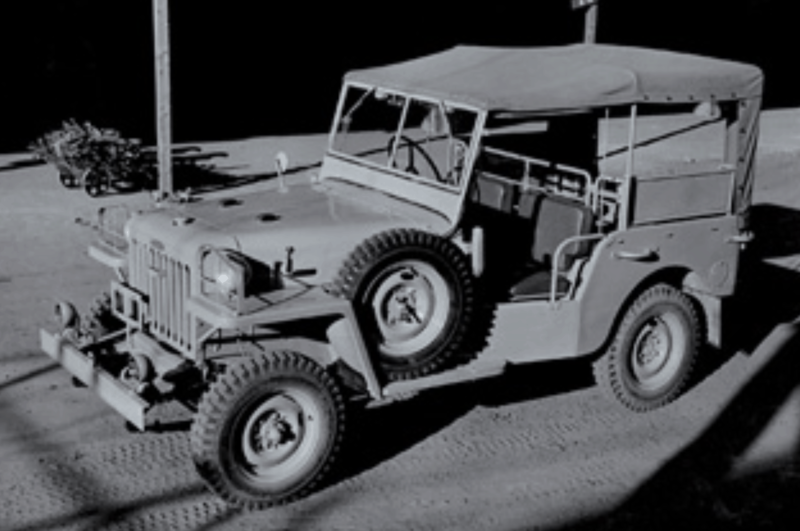 At the same time, one of the formats asked of the Toyota engineers by the Japanese government was a nimble field vehicle like the proven American Willys Jeep. Given only a few months to come up with a design, and forced to rely on their own meager resources, Toyota patched together a prototype using odds and ends from a host of vehicles in their past and present inventories. Presented to the Japanese National Police Reserve for review in January of 1951, the prototype had parts from several mismatched vehicles including the Toyopet passenger car and the chassis from the SB-type 1-ton truck released in 1947. It had a diminutive size, but a rather large 3.4-liter Type B six-cylinder engine. For a truck rushed into development in a matter of months it was promising, but not enough to win the contract for 1,000 NPR vehicles, an order that went to competing brand, Mitsubishi. 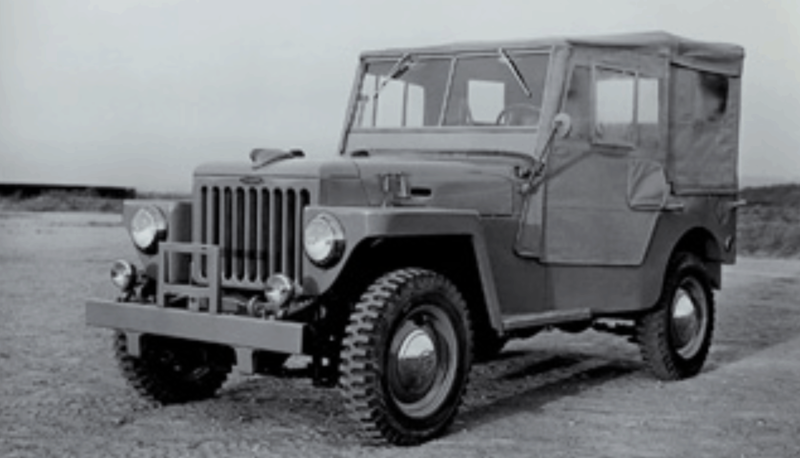 Toyota didn’t let the setback deter them and pursued production of their truck, then labeled as the Toyota Jeep BJ, first letter denoting the engine type, the latter signifying its resemblance to the American Jeep. The BJ would continue to receive refinements and became a central focus for Toyota. A tremendous amount of time and energy went into proving the performance of the little truck, efforts eventually rewarded when the National Police Reserve gave their contract to Toyota over Mitsubishi. By 1954 orders were coming in from as far away as Pakistan and Saudi Arabia for Toyota’s truck then sold under the new name––Land Cruiser. They had to drop the Jeep moniker as it had been trademarked by the American company. 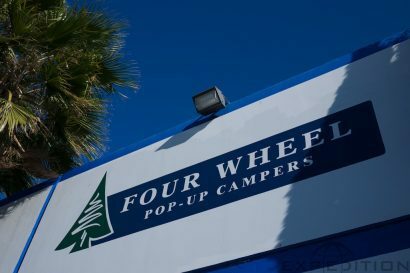 In yet another twist of irony, Toyota’s new name flirted precariously close to imitating that of the budding Land Rover company. This was an era when imitation was prevalent and copies of copies were commonplace. The Land Cruiser’s dependability, brawn, and capability made it attractive for military, industrial, and exploration use the world over. With the release of the updated Series 20 generation truck, civilians were given access to Toyota’s terrain topping vehicle. 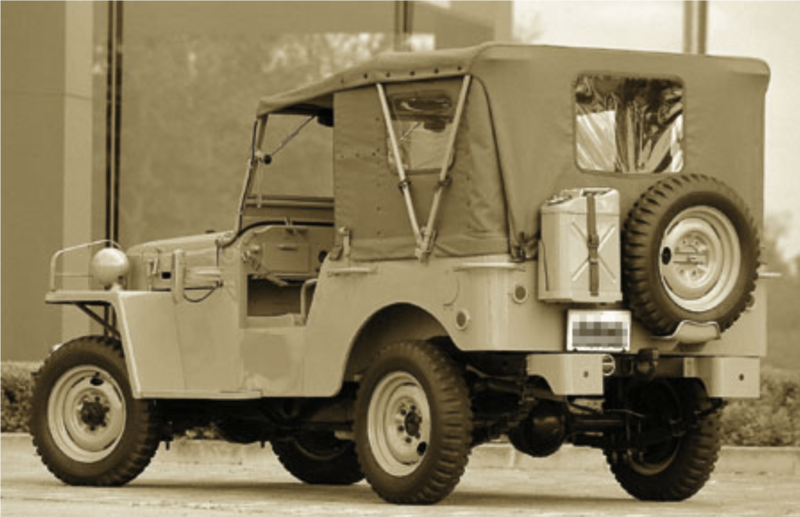 Finalized in 1955, the Series 20 demonstrates the classic Land Cruiser we all recognize today. 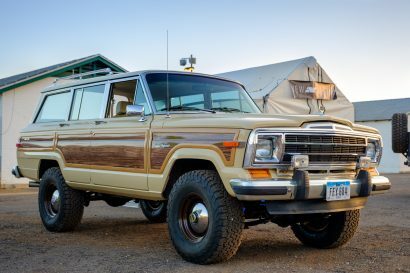 The evolution between the first generation BJ and the second almost mirrors those changes made between the flat-fender Willys and the more sculpted CJ series Jeeps. The series 20 Land Cruiser had softer edges, inset headlights in the grill, and virtually every design line carried through until the final year of production under license as the Brazilian Toyota Bandeirante in 2001. Japanese production ended in 1986. 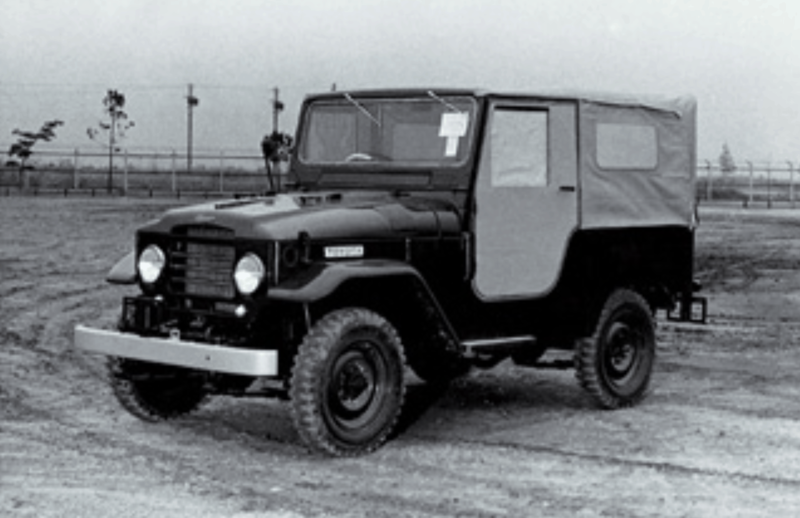 The Land Cruiser story had only just begun in 1955 with the arrival of the 20 series truck. Still made in relatively small numbers, it would eventually forge roads around the world, literally and figuratively, as it was the Toyota to open doors for future imports in markets new to the brand. It’s a distant product from Sakichi’s automatic loom, but and even greater success. It’s worth mentioning, Toyota looms are still industry standard setters, so his vision was never abandoned, only surpassed by other products. It’s easy to let the Land Cruiser dominate the Toyota narrative, but it is first and foremost a tale of innovation, determination, dedication to excellence, and most of all it is an example of patriarchal legacy and commitment to family enterprise. The male descendants of Sakichi and Kiichiro continue to lead Toyota into new market segments around the world. For our next installment we’ll take a closer look at the Series 20, 30, and the introduction of the 1960 Model 40.